To say that Overland Expo 2011 was a huge success is in fact an understatement: the growth, excitement, and quality blew us away. 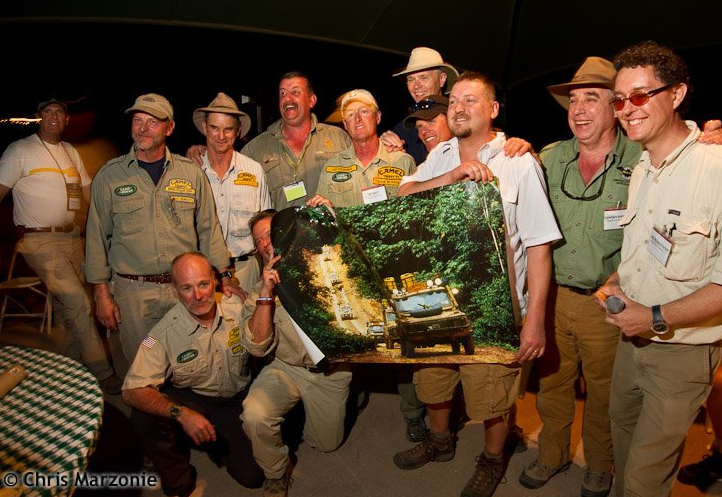 Thanks to our title sponsors [Four Wheel Campers, ARB-USA, Sportsmobile, Overland Journal, Equipt Expedition Outfitters] and special sponsors Land Rover, RawHyde Adventures BMW Academy, Jeep, MaxTrax, and Extreme Missionary Adventures. The Amado Territory Ranch, along with our expanded facilities at the beautiful Rex Ranch, was once again the site for the annual Overland Expo, and this event was bigger and better than last year’s, with 40 more classes, 15% more vendors, and more overlanding legends on-hand for training and after-hours conversation. The largest gathering of ex-Camel Trophy team members ever in the U.S. joined our own Overland Expo training team (led by Graham Jackson and joined by experts from Overland Experts, Viking Off-Road, Sweet Otter, and many others) to teach driving, marshaling, and recovery skills on a challenging course specially built by Land Rover North America. Participants could drive their own vehicles, or a brand new LR4 or Range Rover, under the guidance of the top experts on the planet—who proved without exception to be modest, genuinely excited to share their knowledge, and loads of fun. In the motorcycle area, Jim Hyde and the team at RawHyde Adventures put up a carnival-atmosphere display and staging area for motorcycle training. In the huge center field, dozens of vendors offered the latest in overland vehicles and equipment. But above all it was the camaraderie that brought the most satisfaction to participants, instructors, and staff alike. The 2012 Overland Expo is planned for Amado once more. Remaining in the same venue will give us the freedom to continue refining and improving the event as well as keep costs down for everyone. Plans include seeding the vendor area with grass, and significantly improving the camping area to reduce dust and improve facilities. Also in the works are some top-secret schemes for the training area, courtesy our honored Camel Trophy team members. Check out our video highlights (special thanks to T2P.tv for our video coverage), image gallery (special Overland Expo photos by ChrisMarzonie.com) and buzz, as well as our Facebook and Twitter (#OverlandExpo). We will be announcing our dates for 2012 soon ~ sign up for our eNews to receive updates. See you there . . . and out there.